Our ‘Pedestrian Safety in Bishkek’s Smart City Concept’ report, published last week, exposed the very urgent need to address pedestrian safety in Kyrgyzstan’s capital where over 48% of the 570 people killed and injured on the roads in 2017 were pedestrians. 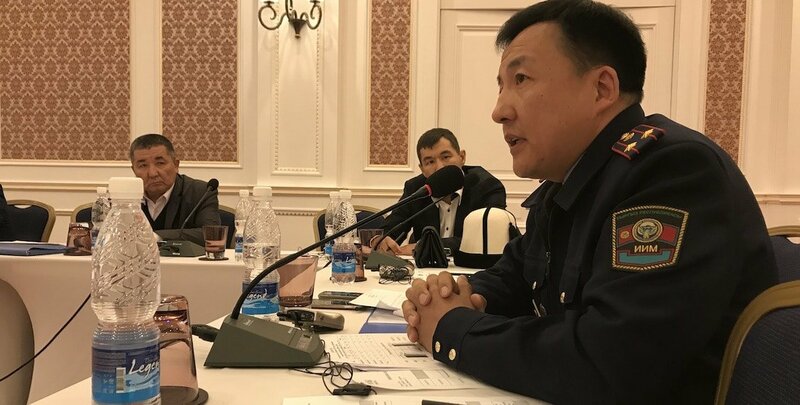 The report’s launch was the first time that pedestrian safety issues and people-centred city design have been discussed in Kyrgyzstan and has already led to a high-level commitment to change. Indeed, as part of her visit to Bishkek last week, EASST Director Emma MacLennan, along with our local partners PA Road Safety and the UK Ambassador to Kyrgyzstan, held a series of top-level meetings with Bishkek Mayor Albek Ibraimov, the Head of the Road Traffic Police, and Prime Minister Sapar Isakov to discuss the impact of the report’s findings and how the situation can be addressed in the context of the Government’s Smart Cities programme. The urgency of the situation was well understood and the meetings have led to national media coverage. The Mayor’s Office committed immediately to installing traffic lights at the Vitebskya crossroad within the next month. They will also share with EASST for further inspection the details of 30 locations in Bishkek that are of most concern to the city in terms of road risk. Our report revealed that just 15 crossing points in Bishkek accounted for one in eight of all pedestrian deaths and injuries in the city in 2017. Focusing on the most dangerous intersections via an evidence-based strategy is therefore a great start to making Bishkek safe and welcoming for pedestrians and will make a significant contribution to cutting road fatalities. In achieving this, road engineers and urban planners in particular have a significant role to play. With this in mind, as part of last week’s visit, EASST and PA Road Safety also organised an engineering seminar for faculty members from five technical universities in Bishkek to discuss their training needs in relation to road safety design and policy implementation. The result was a strong call for road safety management training for engineers region-wide. This also chimes with EASST’s current work with the European Bank for Reconstruction and Development (EBRD) on developing a new road safety audit curriculum at the Tajikistan Technical University, and would provide a sustainable solution for ensuring pedestrian-friendly road infrastructure for future generations.